In a shaker, add a small amount of ice. 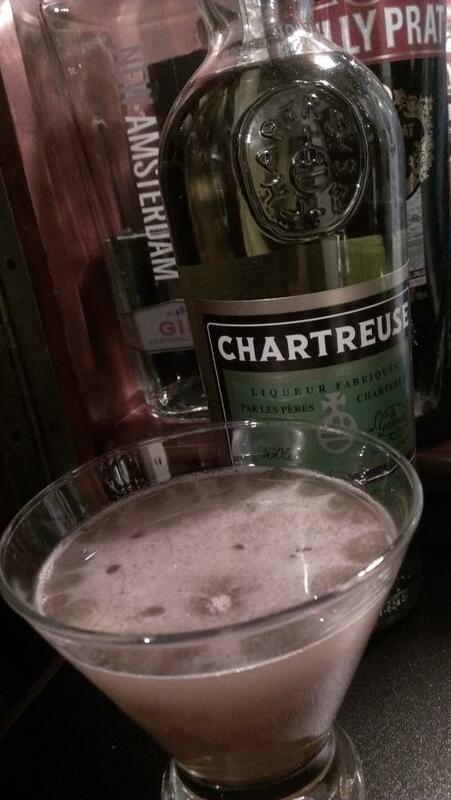 Pour in gin, vermouth, and Chartreuse. Top with two dashes of orange bitters. Shake briefly and strain into a cocktail glass. No garnish. This is a simple drink to make, but has a very complex flavor. 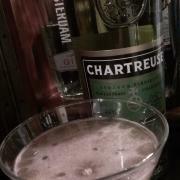 It seems like 1/3 chartreuse would be overpowering, was it? This drink dates back to the 1890's, first created by Harry Johnson. The three main ingredients are said to represent diamonds, rubies, and emeralds respectively. Very apropos because Bijou is French for "jewel". Fantastic upload.